As you may have noticed (on the AMP version of this page), we have also enabled a cookie consent as an AMP notification. No Analytics tracking will occur until the visitor has accepted the notification. Most importantly, user events such as clicking on a button, or scrolling down a page can be tracked very easily, with absolutely no coding required. 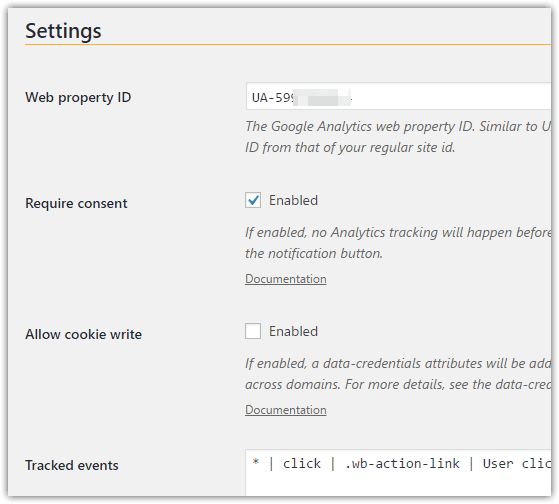 On this site for instance, clicking on the buttons below to navigate between pages will record an in Google Analytics. The required AMP code has been generated for your automatically and inserted in AMP pages. Comments can be displayed on AMP pages just like on your site standard pages. 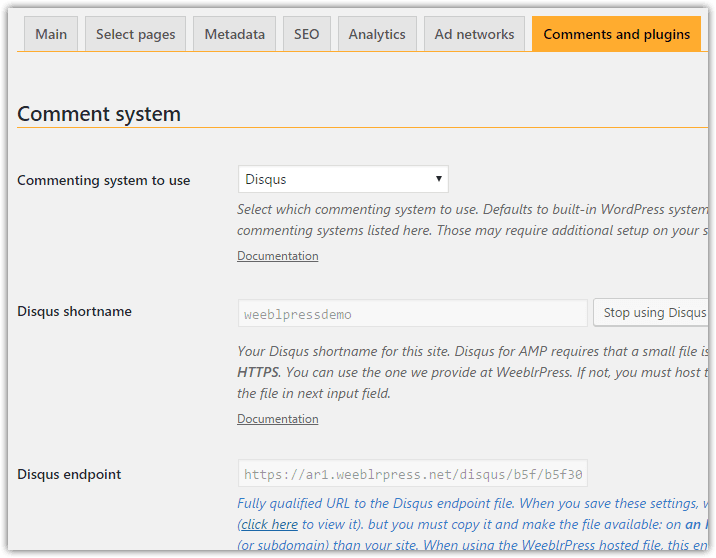 Visitors will be able to leave comments using either WordPress standard commenting system, or with Disqus. You can leave comments both on the AMP and standard versions of this page. Out of the box, comments will show on your AMP pages exactly in the same circumstances as they do on your site: hidden for posts where you disabled them, or not at all if you disabled commenting. and then you must insert in your content some rather obscure HTML code where you want the comments to appear. Note that comments are still attached to a given post or page: comments on the AMP version are also visible on the standard HTML page, and vice-versa. Likewise, users can comment on the Google AMP cache version of your page just the same as if on your own site. Forms are the basis of any interactive site: landing page, contact us page, etcAMP forms with weeblrAMP are simple: we will convert Contact Form 7 and GravityForms forms automatically, sometimes with a few restrictions. You will find below 2 sample forms, one for each plugin. Please test them on the AMP version of this page!